This comprehensive handbook provides counselors in training, counselor educators, and professional counselors with the latest information on major contemporary issues impacting the field. The design of the book is both conceptual and practical, reflecting current trends and issues from the perspective of expert counselor educators, and provides an up-to-date discussion of the importance of multicultural awareness and skills. The book is split into helpful sections covering a range of areas including social and cultural diversity, neuroscience, risk prevention in counseling, writing and publishing research, and career development. 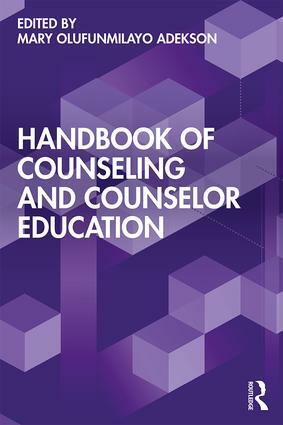 Grounded in contemporary research and aligned with the 2016 CACREP core content areas, the Handbook of Counseling and Counselor Education is an indispensable resource for both graduate-level trainees and professional counselors alike. Mary Olufunmilayo Adekson, PhD, is a retired counselor educator. Mary has published many books, book chapters, and articles related to traditional healing and counseling. She is the CEO of Faith Diversity Consulting.